An 11-year-old boy scored a White House invitation after standing up to his Internet bullies in a very public way. 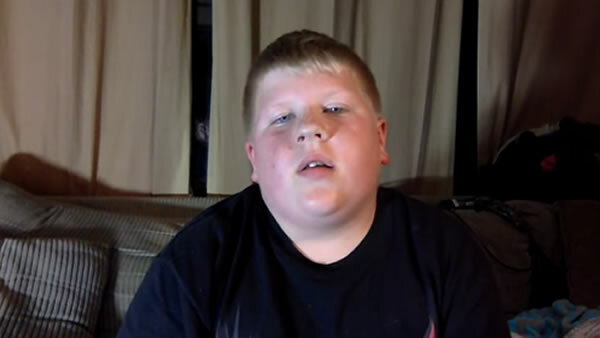 Logan Fairbanks read a series of cruel comments people have made about him online in reaction to a series of videos he and his dad posted on YouTube. "I'm surprised he fits in the front seat. Squeal, piggy, squeal. I hope that people don't bully other people online anymore and that this helps. And, people that have been bullied, don't let those words affect you." The video caught the attention of White House Senior Adviser Valerie Jarrett. She tweeted the father and son, saying, "Change happens when ordinary people do extraordinary things, when people have Logan's courage and speak up." The Fairbanks wrote, "Thank you so much for your kind words. I can't believe our video has hit this close to the White House. We are in awe right now." Jarrett responded again, tweeting, "If you're ever in DC, please stop by the White House and say hi. Logan may be a future occupant one day."